author. speaker. associate professor of history. director of africana studies. fellow. The BBC recently quoted Liberian President Ellen Johnson Sirleaf as saying while she is "very optimistic that Ebola can be beaten" that "there is a danger of the disease coming back." She said Liberia needs "a health system that can work." During the summer and fall of 2014, organizations around the world demonstrated a greater commitment to stemming the Ebola outbreak in Guinea, Sierra Leone, and Liberia. Governments from sub-Saharan Africa, Europe, North America, and elsewhere along with public health NGOs pledged to support the subregion. Thus, Partners in Health (PIH), a Boston-based public health NGO, with extensive work in the Caribbean, Africa, Eastern Europe, and the United States, entered the fray. President Ellen Johnson Sirleaf is right and while Liberia currently has no Ebola cases, Liberia, nor Sierra Leone and Guinea are not out of the woods yet. The only way to effectively fight future outbreaks of Ebola or other public health crises is to strengthen health infrastructure for the future. One organization that is looking to the future is Partners in Health. 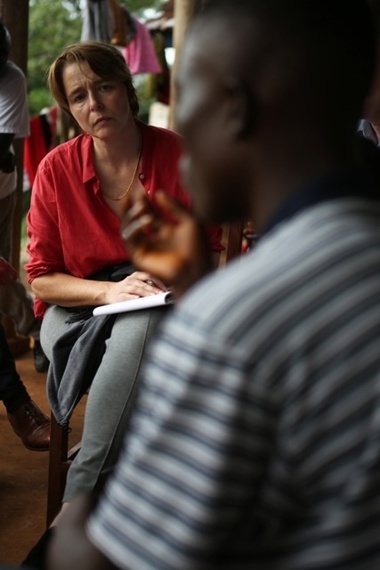 Recently, I spoke to Ophelia Dahl about Partners in Health's response to the Ebola epidemic and the organizations plans for the future. I began by asking her how PIH's new entry into West Africa differed from its previous work and what were some of the partnerships and logistics that helped to facilitate this move. In past cases, Partners in Health "had more time to consider the invitation." In the case of the Ebola epidemic, Dahl stated that they were first contacted by sister organizations who had been working in Liberia and Sierra Leone. She said, "They turned to us for specifics on how to address this in a comprehensive way." This relationship with sister organizations would prompt Partners in Health to ally with two existing organizations in West Africa, The Last Mile and Wellbody Alliance. When Dahl was asked if the previous experiences of Wellbody Alliance and The Last Mile in the region helped to facilitate efforts, she replied: "They were already set up and had local partnerships, and we made deep connections during our first trip." In September and October 2014, members from Partners in Health including Paul Farmer, Joia Mukherjee, Ophelia Dahl, and Corrado Cancedda made visits to Liberia and Sierra Leone. Dahl spoke about her visit where she met with government officials and survivors. Dahl said that one of things that made the biggest impression on her during this visit was spending time with survivors. Most of the survivors had contracted Ebola through "webs of care" in the course of providing care to family members. According to Dahl, "We asked our on the ground partners to find a way to help contact survivors. The ministries had a list of survivors and everything else. Our colleagues helped us get in touch with them and we had meetings. We were driven to some people's houses and there was quite a lot of stigma from it for them. They were given certificates from the government . . . that said that they could no longer transmit Ebola." A number of survivors shared their experiences with the Partners in Health delegation. 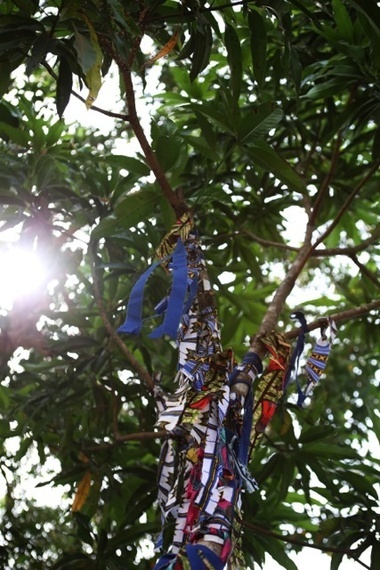 Dahl said that one survivor, a thirty-something woman named Yabou, talked about what it meant to spend time in sub-par health facilities with no electricity while listening to other people die at night. "Listening to other people but you are so sick that you can't really help them...listening to kids cry--very, very harrowing stories." Dahl's comments underscored these familial losses and talked about modes of transmission: "You have to have intimate contact with someone who has been sick and each one told stories with deeply connected webs of care. Each one of the people that we spoke to that had survived Ebola had started taking care of a relative of theirs--a mother, a father, a child--all of them had lost relatives and contracted it themselves. They had not really gone through the loss and suffering and they themselves fall ill and know what could be ahead for them." Many of the family members died from the illness. Survivors in Liberia and Sierra Leone as those in Guinea and elsewhere are often socially ostracized, and one result of this is loss of employment. One way that Partners in Health has responded is by employing survivors to work as community health workers because "they need jobs and had resistance" to Ebola. By spring 2015, Partners in Health had employed several hundred survivors in the two countries. We also spoke about the role that public health NGOs play in the region including the future role of Partners in Health. In particular, what happens when well-intentioned NGOs pull out very quickly from impacted regions. "It's amazing how many efforts are actually around the treatment. [Organizations] did great work but the whole point is the building of the infrastructure." Dahl was passionate about future work and said: "We are not leaving; we made a long-term commitment to those two countries." She added, "We did not want to set up shop and not be able to integrate it." Partners in Health will draw on its long experience building and contributing to health systems in Haiti, parts of sub-Saharan Africa, and elsewhere to improve long-term health outcomes in Sierra Leone and Liberia. This is significant for not only containing Ebola but also for more common public health considerations including maternal and child health and malaria.